The French company known as DJiT, "the world’s number 9 mobile music app publisher", changed it's name to MWM last week, on June 22. The new visual identity was developed by Dragon Rouge. The company started out with the music mixing app Edjing and has since developed further apps, recently reaching a combined total of 100 million downloads. The new name is a reflection of that growth. The name MWM creates a neat and versatile "oscillating logo", expressing "perfect synchronization of music, the world and media". It is supported by an eclectic universe of beating graphics. VRT (Vlaamse Radio- en Televisieomroeporganisatie) is the public broadcaster for Flanders, the northern half of Belgium. Last week, on June 22 it presented a new corporate identity. According to press release, it was developed by an internal team that collaborated with Pentagram and something called "Mechelse Today". According to VRT, "the new expressive logo will allow VRT to evolve digitally". The VRT is unusual among the European public broadcasters in that its own brand has mainly been used on a corporate level, with individual channel brands communicating to the public. This will apparently not change. While the new logo had a sort of official launch last week, it was first adopted back in January for the services VRT nu and VRT NWS. The latest announcement made it official for the entire company. The logo round-up is a bit late once again, but its is a big one with well over fifty new logos introduced in May. 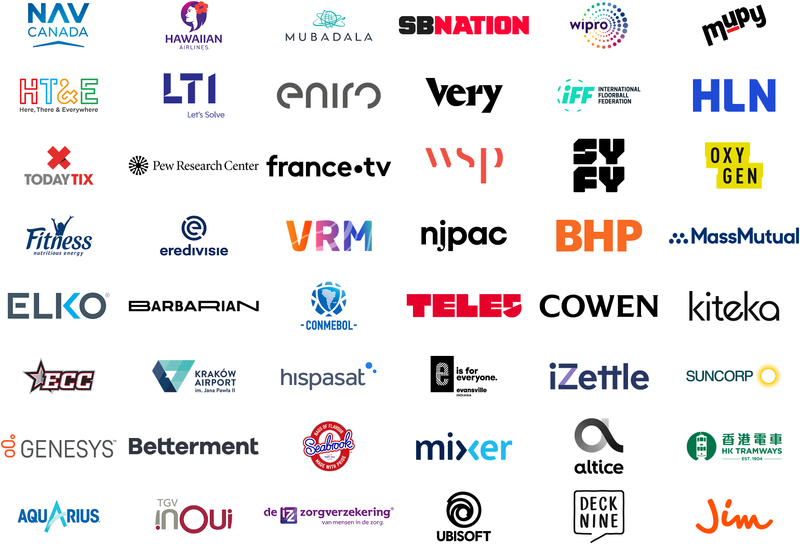 This includes new looks for Hawaiian Airlines, some American cable networks like HLN and Syfy, major sports leagues, game maker Ubisoft and a many more. Last Friday, on June 16, Sweden's public broadcaster launched new looks for its main channels, SVT1 and SVT2. This follows the introduction of a new corporate logo last autumn. Since 2012, SVT has used graphics built on colourful templates created by Trollbäck + Company. The new look takes a very minimalist direction with barely any elements other than the simple channel logos and the corporate typeface. 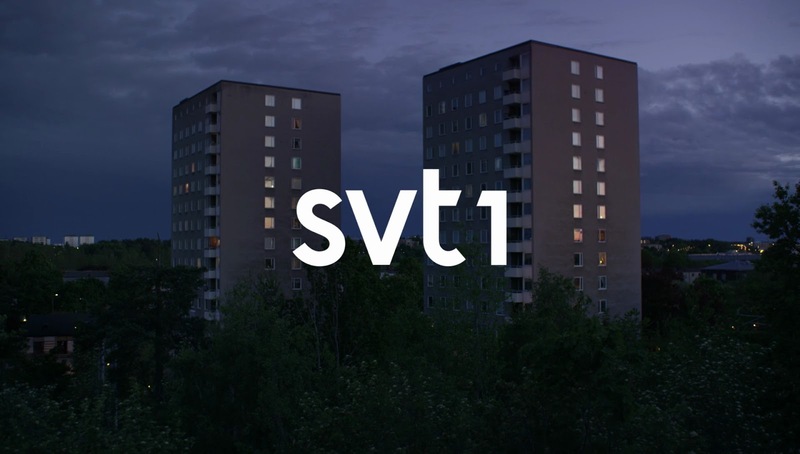 The new idents are similarly minimalist, with the SVT1 idents featuring simple shots of places around Sweden where people are watching television and the SVT2 idents featuring relevant still images. Other than the thematically differing idents, there's no real attempt to differentiate the channels with graphics or colour, which does perhaps reflect an "on demand first" programming strategy where individual channels are less relevant. Helsinki is the capital of Finland. On June 1, the city unveiled a new brand identity to coincide with a reorganisation of the city government. It was designed by local studio Werklig, who were appointed last August. Up until now, Helsinki hasn't a unified visual identity with many departments veering off with the own logos. The new logo is to do be used by all department. It is based on the city's crest, but has stripped out all heraldic imagery, leaving only actual shield shape with the name "Helsinki" on it. It is used in conjunction with wave backgrounds in various colours inspired by Helsinki landmarks. Chef is a brand from Italian dairy company Parmalat for cream and various cream-based food products, such as dessert creams and cream sauces. Earlier this year, it was given a new look by FutureBrand Italia. This is a very subtle update that keeps all essential elements of the previous packaging, but gives them a sophisticated update to infuse additional symbolism. Alight Solutions is an outsourcing business for human resource services and benefits administration, serving many large companies. It was recently spun off from Aon plc and sold to private equity. Last week, it emerged as an independent company with an identity created by Prophet. Prophet worked on all aspects from strategy to design over three months. The business that Alight is in is simultaneously getting more technologically advanced and more people-focused. The new identity should reflect how Alight is "reimagining how people and organizations thrive"
Chillizet is a Polish radio network that plays "chill out" music such as soul and jazz. It was known as Radio ZET Chilli until a few weeks ago when the current name was adopted, along with a new visual identity by BNA. The new modern and purely typographic logo is designed to reflect the station's urban and eclectic nature. Mupy is a classic Brazilian soy beverage, introduced to the country in 1977. Last month, a new look for the product was announced, designed by FutureBrand São Paolo. Mupy is widely known by its plastic bag packaging and FutureBrand took advantage of this by turning the bags into friendly and playful characters. The company was founded by a Japanese immigrant and the packaging is somewhat inspired by a Japanese style of illustration. MDR Sputnik is the youthful radio channel from MDR,the public broadcaster for central eastern Germany. It is apparently a sort of spiritual successor to DT64, the youth radio network in East Germany. On June 3 it launched a new logo, created by Scholz & Friends who also created a full corporate identity programme for all of MDR last year. Sputnik's logo has taken an evolutionary approach since the network was founded in 1993. This is the first time Sputnik introduces a completely new logo in the form of a face that is said to reflect "young spirit" in the brand. Foxtel is Australia's leading pay TV company, operating both the continent's satellite TV platform and some cable networks. It is co-owned by Murdoch's News Corp and telco Telstra. This week, on June 6, it introduced a radically different corporate identity to coincide with the presentation of its revamped Internet service Foxtel Now. The new identity was developed by a design agency called Maud. The new look is part of a shift to a more inclusive brand, announcing that "Foxtel is for everyone". The old Foxtel brand was heavily associated with the aggressive Fox TV brand and satellite pay TV doesn't fit all budgets. A friendly brand is better aligned with a service offered a lower price points. Seabrook is a British brand for crisps. This month it was given a new look by Robot Food to help them stand out in a very crowded market. The new packaging builds on its predecessor, but breaks category norms to differ more from the competition. The new packs are dominated by thick 'crisp-shaped' stripes against a white background with a refreshed logo on top. The Indian government has made great efforts to move the country from old paper-based currency to digital payment systems. One of those these new systems is Bharat QR, developed by Visa, Mastercard and National Payments Corporation of India. Back in February it revealed its corporate identity, developed by Landor Associates. At the centre of the new logo is a combination of a QR code the rupee symbol, showing "a harmonious marriage between digital technology and physical money". IZZ Zorgverzekering is a Dutch provider of health insurance. I wont attempt to understand the Dutch healthcare system, but they are somehow related to another VGZ, another player within Dutch health insurance. On May 31, they adopted a new logo, designed by Teldesign, who also created the new look for VGZ back in 2011. Ubisoft is the videogame developer behind popular and wholesome titles such as Assassin's Creed and Far Cry. Yesterday, it revealed a refreshed version of its"swirl" logo. The logo reflects Ubisoft's activities as a "creator of worlds", into which the swirl is a portal. It has been simplified and scrubbed of its gradients, with a less technically oriented typeface.